I’ll think of you, I’ll think of you . . .
it’s you yourself I like, it’s you . . . They were the words of a friend who helped young children feel good about themselves, a voice that made sense of a troubling world and taught values that could last a lifetime. They were the lyrics of the songs of Fred Rogers, the “Won’t you be my neighbor?” pioneer who set a standard for children’s television that remains unequaled. From 1968 to 2001, children tuned in to their public broadcasting station for Mister Rogers’ Neighborhood where “each day was a special day.” He talked to them about kindness, loyalty and responsibility. He taught them how to deal with anger and divorce. He told them they were loved and filled them with self-esteem. But there was something more to those songs than teaching toddlers. There was brilliance in the music and how it was played. 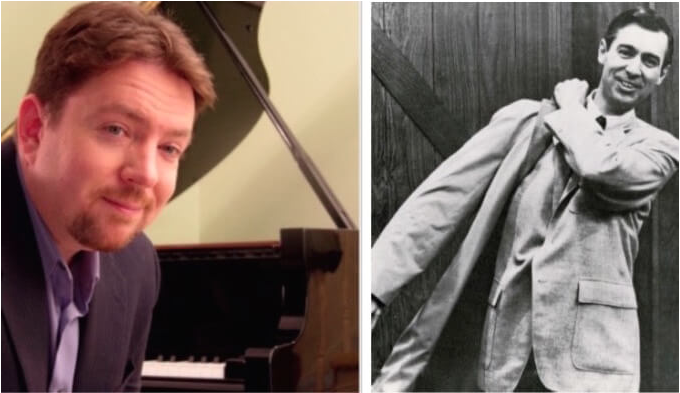 For Kevin Bales, who stumbled across the show at age 16, Mister Rogers’ Neighborhood became the inspiration for a career, a lifelong pursuit that now has the 50-something Atlantan recognized as among the world’s premier jazz pianists. Bales started watching – and listening – when he was sick and home from school, which was often, as he was prone to migraines. Bales was a student of classical music at the time, already recognized as an up-and-coming talent in Atlanta’s classical circles. He was also turning heads as a computer programmer. But Johnny Costa and Mister Rogers’ Neighborhood stole him away from all of that, and for good. Good players learn from other good players. Just as Kevin had been inspired by Fred Rogers and Johnny Costa, he was developing under the mentorship of the likes of Rich Matteson, Bunky Green and Jack Peterson and playing around the Southeast with such notables as Ben Tucker, Nathen Page, Buddy DeFranco and Ira Sullivan. It led to national recognition, his first, in 1996, for a Blue Note recording, Nocturnal Traces, with trumpeter Marcus Printup, another Atlantan, with whom he toured for five years. Fast forward to 2016 and a meeting with Chicago vocalist Keri Johnsrud to select songs for a new album. (Bales has averaged three to five albums a year over the last 25 years, some his own, more with other artists as his virtuosity and versatility have kept him in high demand). It was a long, enthusiastic discussion: the famous jazz musicians who were on the show; how Fred Rogers just let them play how they wanted to play; how Rogers had written all his own music; how, while the lyrics might be childlike, the compositions were subtle and sophisticated; and most importantly, about the messaging, how every note and every word had purpose. Enthusiasm led to a commitment to record an entire album of Fred Rogers’ music, which materialized as Beyond the Neighborhood, released this year, the 50th anniversary of Mister Rogers’ Neighborhood and what would have been Fred Rogers’ 90th birthday. So they landed on pieces like “When Day Turns to Night,” a delicate rendering that capitalizes on Bales’ innovative lines, Johnsrud’s alluring tone and Rogers’ unusual approach to melody. What Bales and Johnsrud didn’t realize was how much fanfare there would be related to the show’s 50thanniversary. At a time in America characterized by division and hostility, a weary populous reflects longingly on the simple man in the cardigan sweater who taught kindness and civility. There’s an acclaimed new documentary, and celebrations abound in Pittsburgh where the show originated, but also in hearts, minds and locales across the US. Aside from the happy coincidence of the timing of the release, Beyond the Neighborhood is a testament to how palatable sophisticated jazz can be. From the trio’s opening salvo on “It’s You I Like” to the final pianissimo strains of “The Weekend Song,” Bales, bassist Billy Thornton and percussionist Marlon Patton gratify with their flights in support of Rogers’ marvelously unconventional melodies and harmonic structures. The players’ virtuosities are on display, as are Johnsrud’s grace and sensitivity. Moreover, Beyond the Neighborhood honors what was most important to Fred Rogers: a sense of purpose, bringing substance and meaning to every note played and sung. Bales expects a regular schedule of performances of Rogers’ music for at least the next couple of years. He and Johnsrud have already added more of Rogers’ music to their set that didn’t make the album. An initial “trial run” tour in April included a Chicago jazz club and arts centers in DesMoines and Omaha. The first Atlanta-area performances will be June 23 at the Velvet Note.